Are you looking for awesome templates to create flyers? 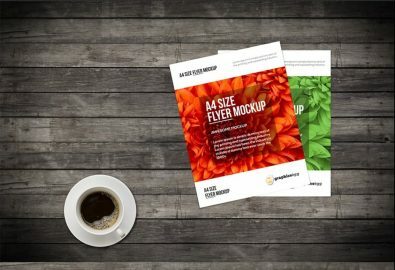 Then you’ll love our PSD Flyer Mockup Designs. In this collection, we have over 72 of the most excellent premium designs to choose from. These mockups are perfect when you need to promote events, parties, shows, and what-not. What’s best about it is that they’re FREE! You can download them here. Do you need to promote a show, social function, or party? Perhaps a personal celebration or special event that you need to make known to certain people. Then what you need are flyers. For ages, people have been using flyers to spread the word about a particular event. It’s also one of the conventional methods of advertising. Businesses use it to inform the public about the products or services they offer. The dissemination of flyer is usually done in two ways: either manually handing them out to people or through drop shipping. However, the downside of using physical flyers for promotional or advertising purposes is its limitation in scope. You can only promote a business or event within your locality. Beyond the boundaries of your city or town, you’ll need to send it through mail. But with the advent of social media and similar online resources, you can increase the reach of your flyers. Simply upload your promotional items online, targeting your preferred audience. 1.1 These templates can take your graphic design skills to a higher level. 3.1 Making the most of the limited print space. 3.2 Take inspiration from understated, very minimal flyers. 3.3 Bright, eye-catching colors are your best friends. 3.4 Be generous with your visuals. 5 If you like this and our other posts, feel free to share it with your friends. Flyers are your best friend. They are the perfect tool when you need to announce or publicize something. 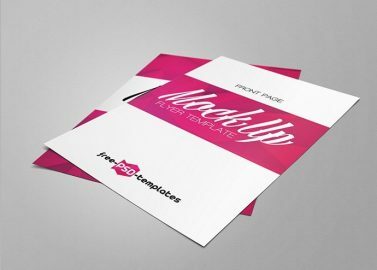 So if you’re looking for cool templates to create your own flyers, you’ll love what’s in store for you. In this article, you can download more than 72 of the best PSD Flyer Mockup Designs. This collection contains the best templates, so you don’t have to create your flyers from scratch. These PSD Flyer Mockup Designs are easy and convenient to use. Simply choose from any of the 72+ templates in this set, tweak it to suit your promotional or advertising needs, and you have your flyers. No need for complicated manipulation. These templates can take your graphic design skills to a higher level. Are you looking to set up a new shop? Would you like to reach new clients? Want to spread the word about an upcoming event? Then you’re going to need attention-grabbing flyers. But how do you make them eye-catching and stylish at the same time? To achieve its main purpose, which is garner notice from its targeted audience, flyers need to turn heads and attract interest. Now its secondary purpose is to provide information. It could be an invitation to attend an event or advertising from a business offering its products or services. To be effective in its latter purpose, flyers need to contain the details, answering the basic questions of what, when, and where. In this article, we’re going to show you how to craft a well-designed flyer that’s highly informative and attention-grabbing. 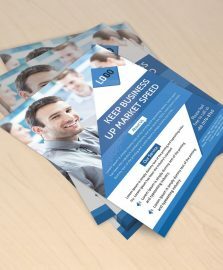 Whether you’re working on a smaller print space or need to cram as much information, we offer tips on how to attract people’s attention with the use of flyers. For the best effect, use the PSD Flyer Mockup Designs we have here for you. You can download them for FREE. It’s normal to get distracted about the design stuff. One may tend to swerve away from the initial objectives of having attention-grabbing and informative flyers. So, in your case, before you get carried away with the look of your flyers, stop. Get a reality check. You are trying to spread the word about something. Thus, you need to put enough information in your flyers. The details need to be clear and concise; it wouldn’t hurt to have convincing words in there too. But if you want people to stop and read your flyers, they need to attract attention. But what is visually striking depends on each circumstance. The idea, however, is that your flyers should be compelling enough to rouse curiosity—enough to be picked up and read by people. Keep the information shortened to its bare essentials. Most people have little attention span and little patience to read something. Thus, make sure the words are easy to read and contains all the crucial details. For better readability, write the text in bold color and bigger font sizes. Don’t be afraid use headers for emphasis. If you’re promoting a product, it’s advisable to add a visual representation or any accompanying photo of it. Making the most of the limited print space. Having a small print space can be a big challenge for most graphic designers. So how do you make the most of the limited area? Arrange the text in columns. You can lay it out newspaper-style. Or you could divide the flyer space into irregular sections. Just make sure the look of the flyer appears to have a balanced proportion of space. Take inspiration from understated, very minimal flyers. Don’t underestimate the beauty of minimalism and simplicity. It might not be wise to just throw in a rainbow of neon colors or misplace a couple of big, bold letters. Keep it cool by playing with the design elements at a bare minimum. Bright, eye-catching colors are your best friends. If you’re looking to promote a party, festival, or some fun event, you can’t afford to use dull, pale colors. Bland is bleak. The first step to engaging your target audience is by capturing their attention. You do this by using attention-grabbing colors like sunny yellow or hot red. Neons are also highly recommended. They bring life and vibrancy to your flyers. Be generous with your visuals. 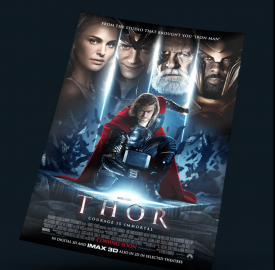 Add visually striking photos in your flyers. It would be a shame to leave your flyer’s design to be boring. For the budget-conscious, you can use stock photos, which may be available for free. Choose photos that provide a friendly, casual feel. You don’t have to make your flyers from scratch. 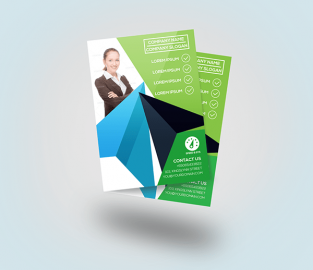 With the PSD Flyer Mockup Designs, you can create awesome flyers with ease. Check them out here. You can download them for FREE. There are premium versions too if you want additional design options.